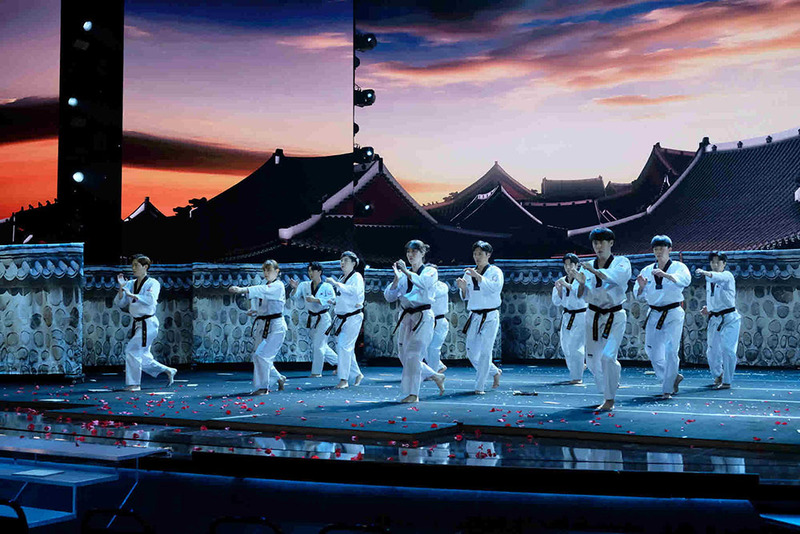 The Kukkiwon Taekwondo Demonstration Team (hereinafter the 〃Demonstration Team”) succeeded in clinching the Runner-Up in The World’s Best, a TV program aired by the US’ CBS. In the final episode of The World’s Best, aired on March 13 (local time), the Demonstration Team received 63 points, taking the Runner-Up behind Lydian Nadhaswaram, the Indian piano prodigy who ultimately won with 84 points. The title of Runner-Up is a valuable outcome that the Demonstration Team achieved through competitions against famous performance teams from all around the world, and served as an opportunity to prove the excellence of Taekwondo demonstrations on a global stage. After passing the 1st Round (Auditions) with the highest score (99 points out of 100) among all competing teams, the Demonstration Team overcame formidable rivals in the 2nd (Battle Round) and 3rd (Championships Round) to advance into the Finals, where they made a bid for victory by preparing and putting on a performance filled with a myriad of advanced Gyeokpa (breaking) techniques. 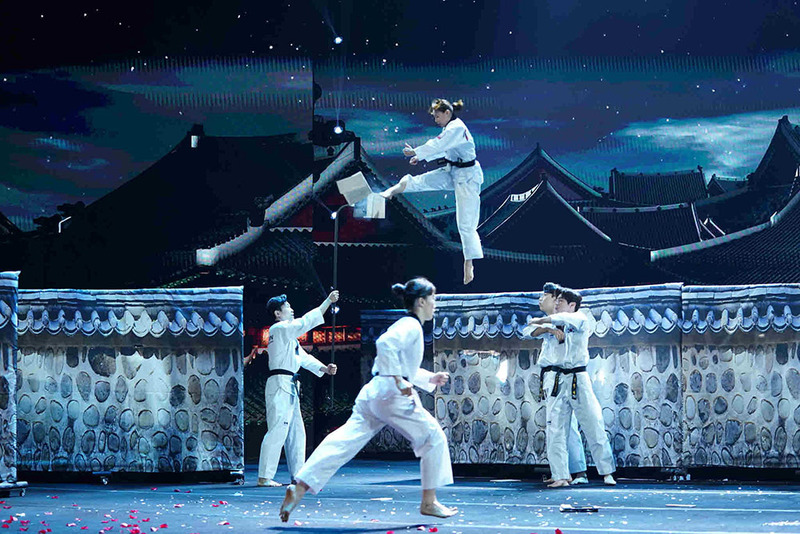 The Demonstration Team made their entrance in style by leaping over ornaments designed to emulate the traditional stone walls of Korea’s Deoksugung Palace, and succeeded in commanding the attention of the judges and panelists alike. When the members of the Demonstration Team perfectly executed a Vertical Turn Break while blindfolded with a black belt, cheers, gasps, and excited shouts could be heard from the judges and panelists. The Demonstration Team wrapped up their performance with a spectacular finale that featured a member of the team breaking 8 targets, positioned 3m above ground in different locations, consecutively in midair. Upon the performance’s conclusion, the 3 American judges ― Drew Barrymore, RuPaul Andre Charles, and Faith Hill ― and the panelists ― known as the Wall of the World ― gave the Demonstration Team a standing ovation, with one of the panelists, Tats Nkonzo (award-winning comedian and musician from South Africa), chanting “Kukkiwon!” in excitement. Meanwhile, the Demonstration Team’s opponent in the finals, Lydian Nadhaswaram, showed his skills by playing a medley of Beethoven’s “Fur Elise” and Chopin’s “Etude” on two pianos simultaneously. After the two teams finished their respective performances, it was time to announce the scores to determine who would be taking home the prize of USD 1 million (approximately KRW 1.1 billion). The Demonstration Team initially took the lead with 50 points (out of 50) from the American judges, putting them ahead of Lydian’s 47 points. However, the foreign expert panel (50 panelists) were overwhelmingly in favor of Lydian. Lydian Nadhaswaram received 37 points from the panel, while the Demonstration Team’s score was only 13. As a result, when the scores were tallied, the victory. Though the Kukkiwon Taekwondo Demonstration Team tasted bitter defeat at the cusp of victory, their efforts still allowed them to promote Korea’s Taekwondo to the US and to reaffirm their status as a demonstration team representing Taekwondo. The World’s Best is a TV program that pits famous performance teams from around the world to determine the best among them all. 3 American judges (50 points) and 50 foreign expert panelists (50 points) score teams after their performances, and the teams with the higher tallies going on to next round. captured during the 3rd Round of The World’s Best. We kindly ask that you cite the source as ‘provided by the US’S CBS’ for the photos provided. ※ Notes: The World’s Best, which aired its 1st episode on February 3(hereinafter in local time), was initially intended to be a 10―part series, but concluded its run early with the 7th episode (March 13). ― Vertical Turn Break: A breaking technique perfomed by springing into the air with the rotating axis being the waist or chest and turning the whole body vertically to strike the target with a foot.